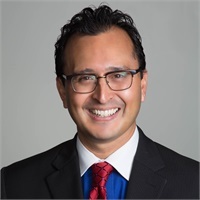 Marco Bohorquez has been a Wealth Advisor for over 10 years. Marco thoroughly enjoys meeting new people on a daily basis and making connections with new clients. His specialties include Estate and Retirement Planning. Marco resides in Sunrise with his beautiful wife of 11 years. In his free time, Marco enjoys soaking in the sun at the beach, a day of golf, a weekend at the Magic Kingdom or just reading a good motivational book. Marco was born in Los Angeles, California and has lived in many places which include Missouri, New York and Virginia. However, he calls South Florida his home since 1986 where he attended Nova High School, Broward College, then graduating from Florida Atlantic University with a bachelor degree in Psychology. Marco lives by the Golden Rule when it comes to life and business “Do unto others as you would have them do unto you”. He enjoys working with his clients and helping them to work towards their financial success. Marco looks forward to helping many others do the same.